Acoustical consulting, in some circles referred to as acoustical engineering, is the management of sound. Often, this is about mitigating unwanted reflections and increasing desirable ones (room acoustics). It may also be about containing or blocking out noise as it relates to adjacent spaces (architectural acoustics). In addition, mechanical and electrical systems noise control are common problems our acousticians solve. If you need help with anything related to sound, vibration, or noise, AVANT ACOUSTICS has the experience and expertise to help! We’ve tackled everything from theatre acoustical consulting to flutter echo at conference centers to noisy MRI machines to open office sound issues – and everything in between! 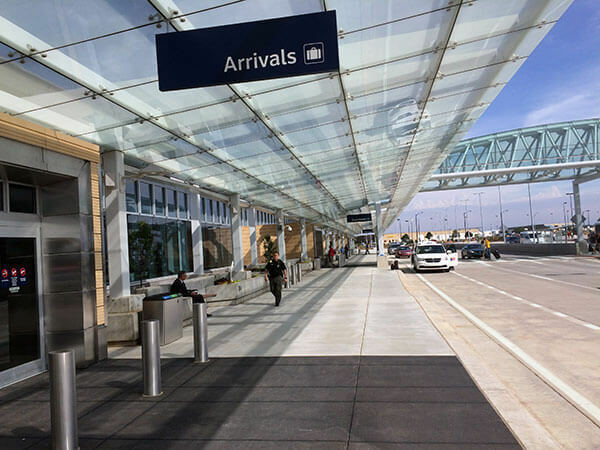 AVANT ACOUSTICS has worked on transportation facilities for over 50 years. No one understands transit station and airport acoustics like we do! These large spaces typically have many noise sources to consider. People conversing, kids playing, noisy equipment, and background music are just some of the challenges we’ve encountered. 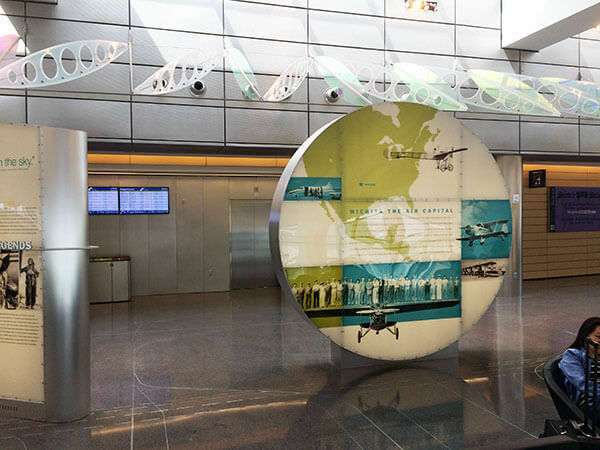 Furthermore, passengers must be able to clearly understand the announcements–not to mention emergency notifications–broadcast from paging and mass notification systems. 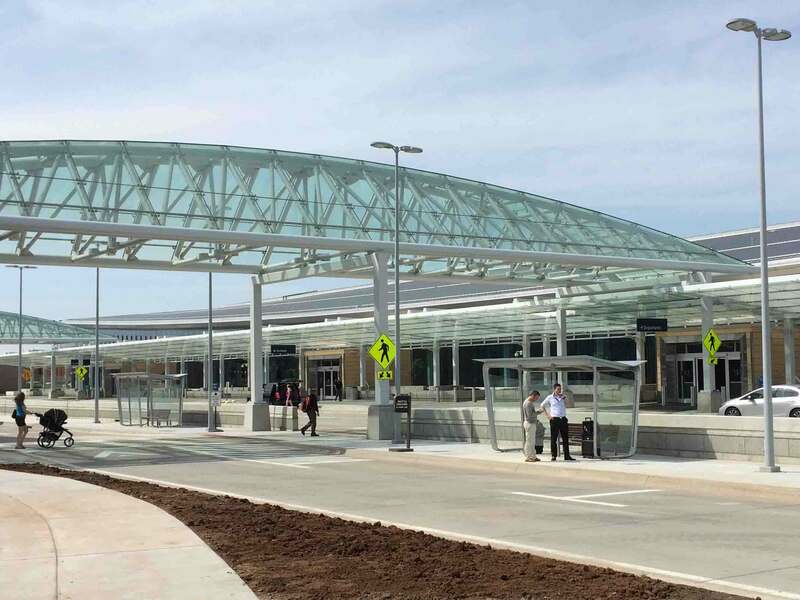 AVANT ACOUSTICS understands that proper acoustics and noise control are critical to the proper functioning of transit facilities. Convention centers and event venues are large, complex spaces that often have conflicting adjacent uses. Don’t worry, we have you covered! We can assist with mechanical and electrical noise control, room acoustics, and architectural noise control. Our consultants will ensure your conference center or event facility sounds as it should, regardless of the facility configuration or type of event. We even assist with the selection and testing of operable partitions for reconfigurable spaces. Lots of companies have open office spaces with limited or no partitions between staff members. While these configurations promote employee collaboration, they can also give rise to concerns about speech privacy and concentration. To achieve the ideal balance, you need an acoustical consultant to provide recommendations to the architect on room acoustics and possibly noise control. Besides open office environments, many workplaces have event spaces, boardrooms, conference rooms, and huddle spaces, each with their own unique acoustical needs. AVANT ACOUSTICS has handled it all, and we can’t wait to tackle your project! Besides the typical noise isolation and room acoustics concerns, many government projects have particular needs to protect privacy and sensitive information. AVANT ACOUSTICS has provided acoustical consulting on all types of government spaces from secure environments, including Sensitive Compartmented Information Facility (SCIF) acoustics to libraries, courtrooms, and public service facilities. Some people are surprised to learn that healthcare facilities need acoustical consultants. However, consider the seriousness of patient room privacy concerns, HIPAA compliance, and vibration-sensitive imaging equipment, such as noisy MRI scanners. No wonder we’ve worked on so many hospitals, labs, and urgent care centers! Our consultants are experienced in providing acoustical solutions that work for patients and medical staff alike. In higher education facilities, acoustics are critical to a productive learning environment. Noise control, architectural acoustics, and room acoustics are all key considerations. 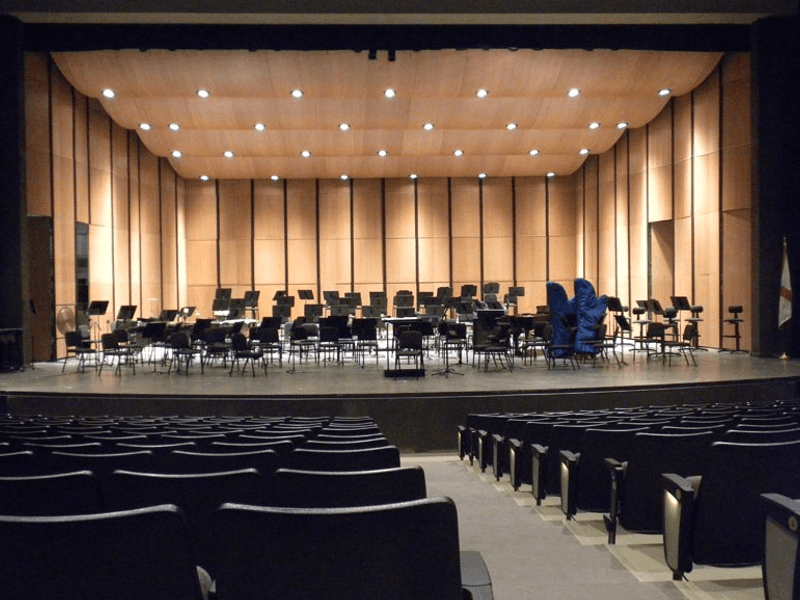 Music and performing arts practice and auditorium spaces, in particular, often require our close attention. Many of our acoustical consulting projects involve new collegiate facilities. However, we also work on a great deal of renovation and/or repurposed spaces. 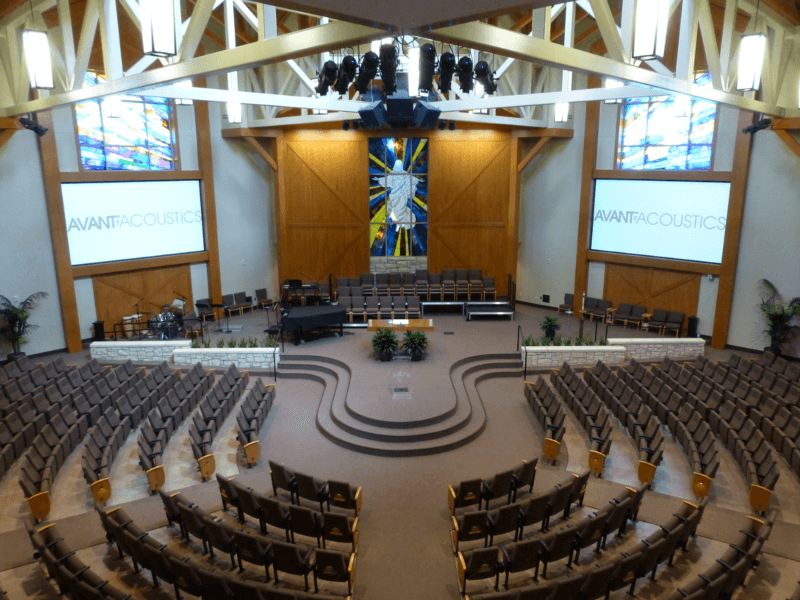 Religious and worship centers require attention to detail and experience when designing for proper acoustics. AVANT ACOUSTICS provides acoustical consulting services for owners and architects alike. We help attain the noise control, isolation, and reverberation times needed to maximize the entire experience of your space. Teaching and learning is hard work, even when everything is perfect. In education, AVANT ACOUSTICS focuses on the three core acoustical considerations: room acoustics, noise control, and noise isolation. This ensures an environment with minimal distractions from the task at hand. Our favorite thing about performing arts space is that everyone understands the importance of acoustics. AVANT ACOUSTICS helps architects and owners to ensure the proper acoustical characteristics, and support the space’s varied uses. Perhaps acoustics isn’t your first thought when you think of sports and recreation spaces. These spaces can be quite loud, however. Thus, it’s important to consider space acoustics that support the sound system. Good acoustics can bring the full auditory game-time experience to every seat in the house! In fact, AVANT ACOUSTICS has some big name clients (with strict name usage limitations) that repeatedly use our acoustical expertise to improve fan experience for events and venues across the country. Sound affects our everyday lives, sometimes in ways you might not expect. If sound has created a problem for you, or you want to ensure it isn’t a problem in your design, contact AVANT ACOUSTICS. We’ll evaluate your particular need, and design a solution for you. 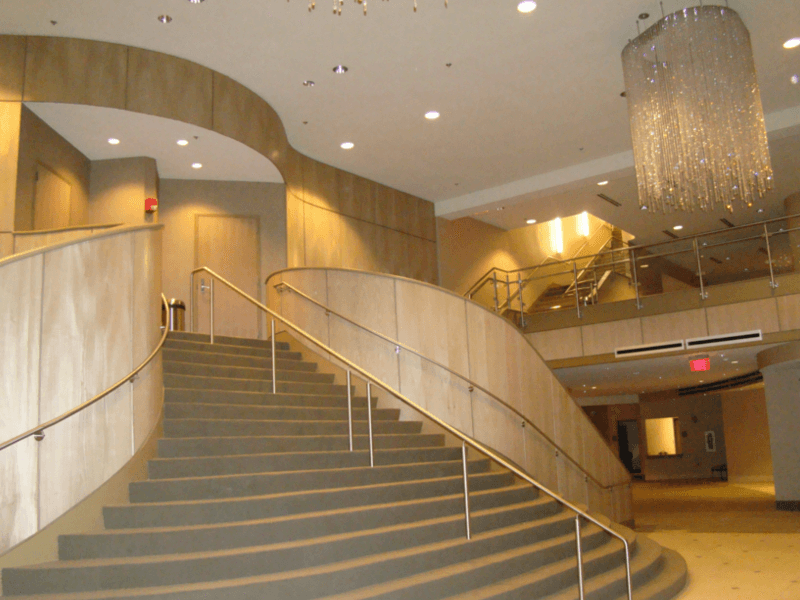 The renovation of the 2,000-seat Mark C. Smith Concert Hall at the Von Braun Center included a new entrance lobby, a new sound system, and upgrades to interior materials and mechanical equipment. AVANT ACOUSTICS carefully crafted the design of the new loudspeaker cluster around the existing perforated opening in the proscenium, creating even coverage, yet maintaining the aesthetics of the space. The front end of the sound system is a digital mixing console that utilizes a digital audio snake to transport audio from the stage to the sound booth in the seats. This configuration minimized the installation impact of the new system on the existing space and allows for flexible routing and patching for the end user. 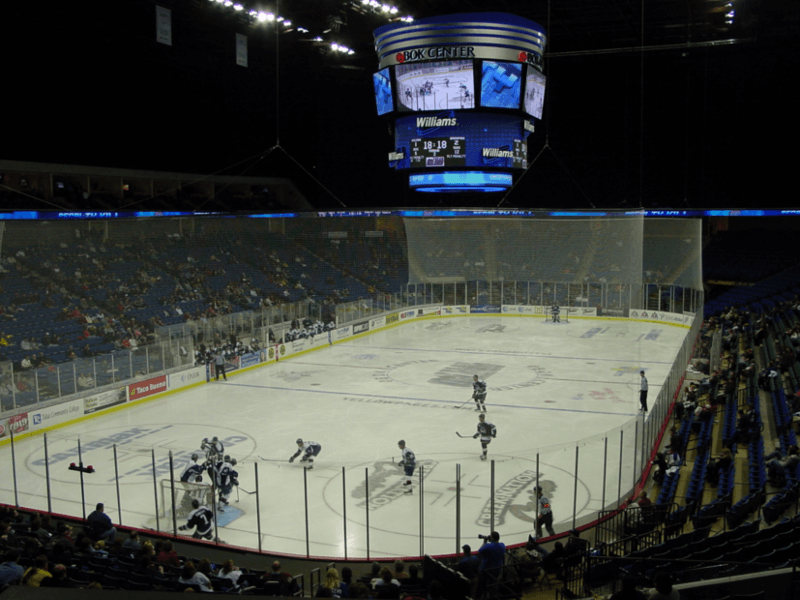 The BOK Center is the home of the Tulsa Shock WNBA basketball team, the Tulsa Oilers CHL hockey team, and the Tulsa Talons AF2 arena football team. 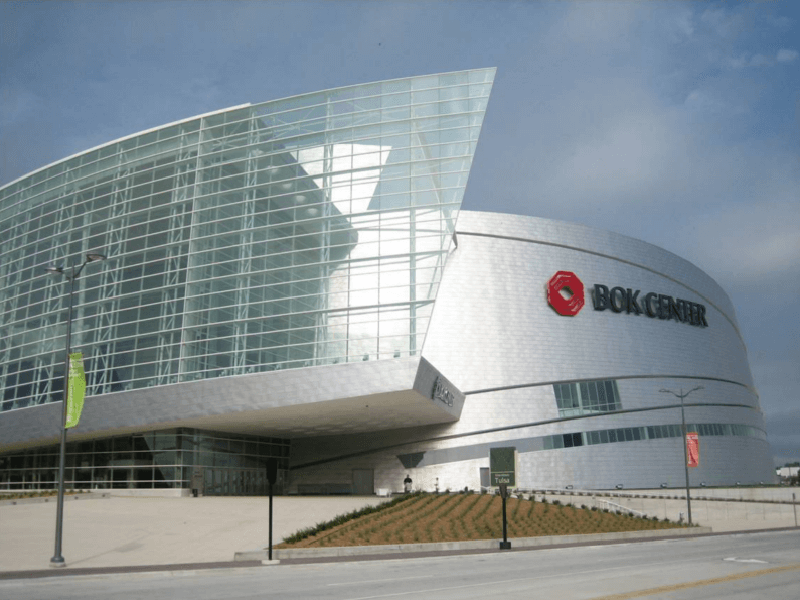 The BOK Center also hosts concerts, family shows, ice shows and other world-class entertainment. With its sweeping curves of glass and stainless steel, the Cesar Pelli designed BOK Center is an architectural icon, anchoring Tulsa’s downtown revitalization efforts. AVANT ACOUSTICS worked closely with the architects in the selection and placement of interior finishes to provide an appropriate balance of liveliness desired for sporting events and a more controlled acoustical environment for concerts. AVANT ACOUSTICS also designed the sound systems for the arena bowl, private suites, concourses and back-of-house areas. The sound reinforcement system in the bowl consists of distributed three-way floor coverage and satellite loudspeaker clusters providing complete coverage to the 18,000 plus seats. 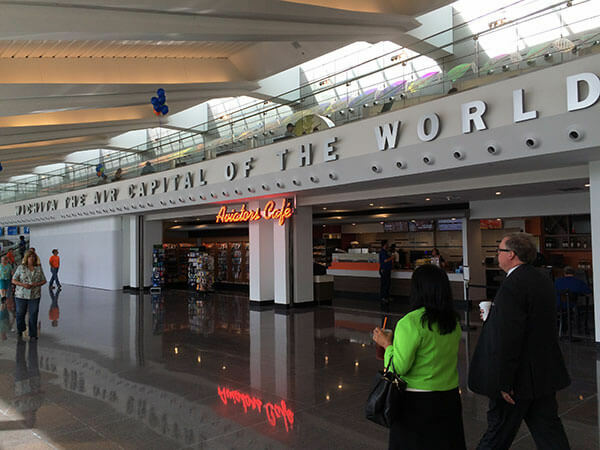 Wichita, Kansas, known as “the Air Capital of the World” because of its long history of aircraft design and manufacturing, now has a terminal worthy of its heritage. 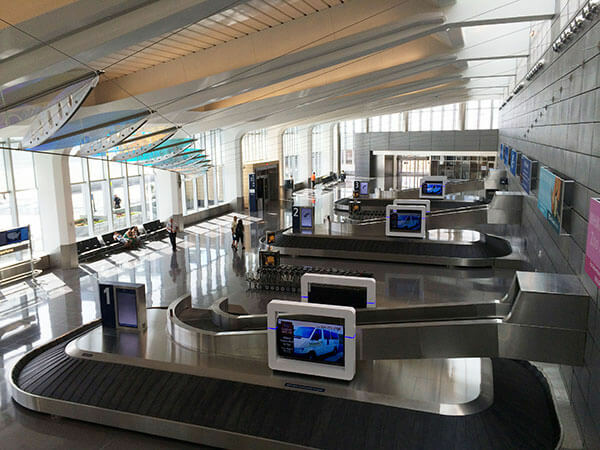 With 12 gate holdrooms, ticketing and baggage claim halls and security screening areas, the new terminal is spacious, filled with light, and designed to evoke flight and aircraft design. Through a 10+ year design process, AVANT ACOUSTICS worked closely with the project architects and engineers to ensure a comfortable acoustical environment with an integrated audio and video paging system. The computer-controlled, network-based paging system meets current needs while allowing for future reconfiguration and expansion. 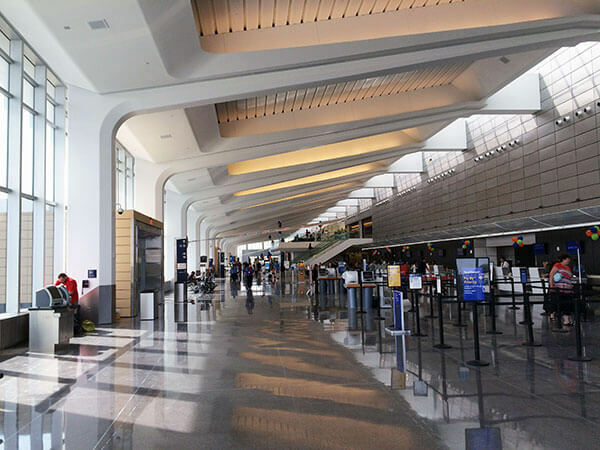 Dedicated microphone paging stations and a system of ceiling-mounted loudspeakers provide intelligible announcements throughout the terminal. The visual display of prerecorded general messages and flight announcements enable communication with deaf or hard of hearing passengers. Audio levels are adjusted automatically based on ambient noise sensors. 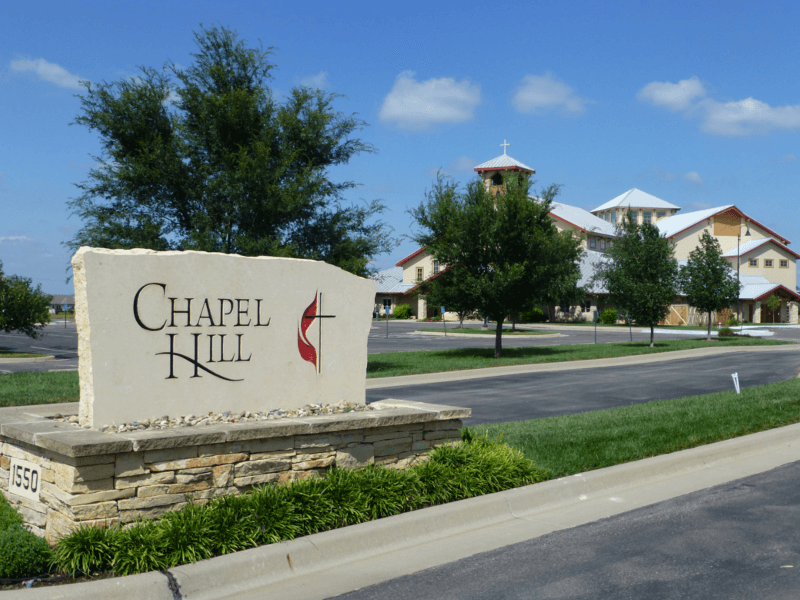 Chapel Hill United Methodist Church recently completed a new 860-seat sanctuary expansion to their existing facility in Wichita, Kansas. 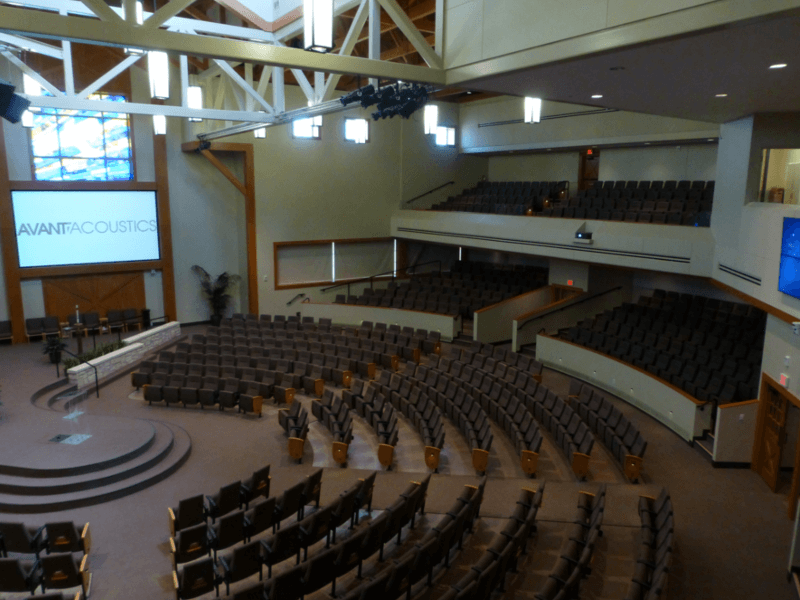 The new sanctuary includes a traditional loudspeaker cluster design with satellite loudspeakers to provide even sound coverage to all of the “in the round” seating. The audio-visual presentation system utilizes a high-performance screen fabric to enhance projector brightness while rejecting ambient light from the windows in the space. Fabric upholstered seats, aisle carpeting, and fiberglass wall panels help to make the room an acoustically comfortable environment with good intelligibility, even though the room has a very large volume. This five-story office building is home to a law firm. 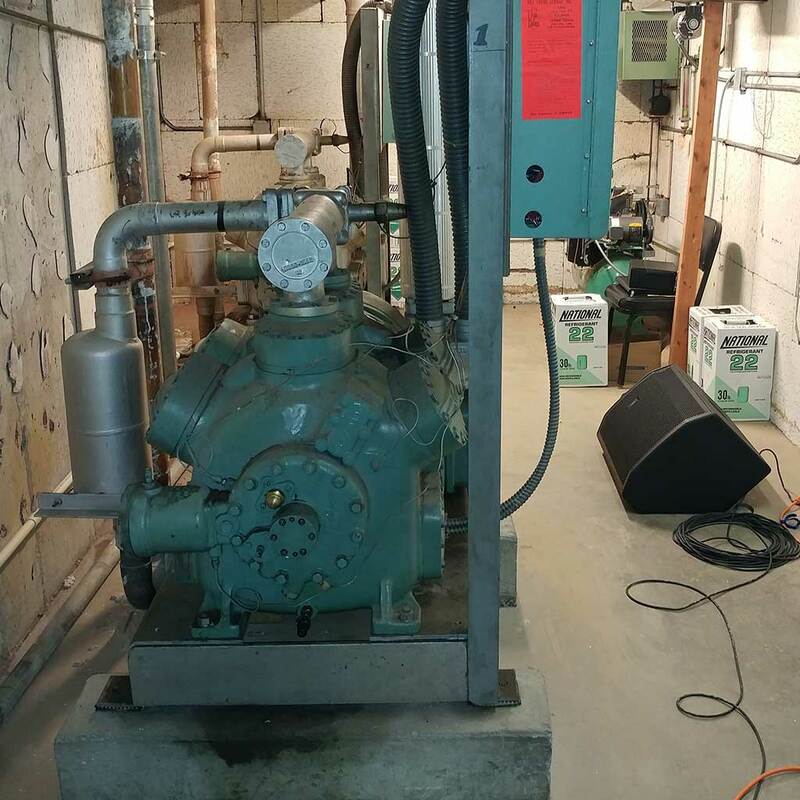 With two new screw compressors on the way, the client called AVANT ACOUSTICS to analyze the existing conditions for noise control. AVANT ACOUSTICS visited the space and tested the partitions between the compressor room and all adjoining spaces. Based on the findings, AVANT recommended installing a specialty acoustical ceiling tile in the compressor room and sealing the numerous penetrations in the surrounding walls. 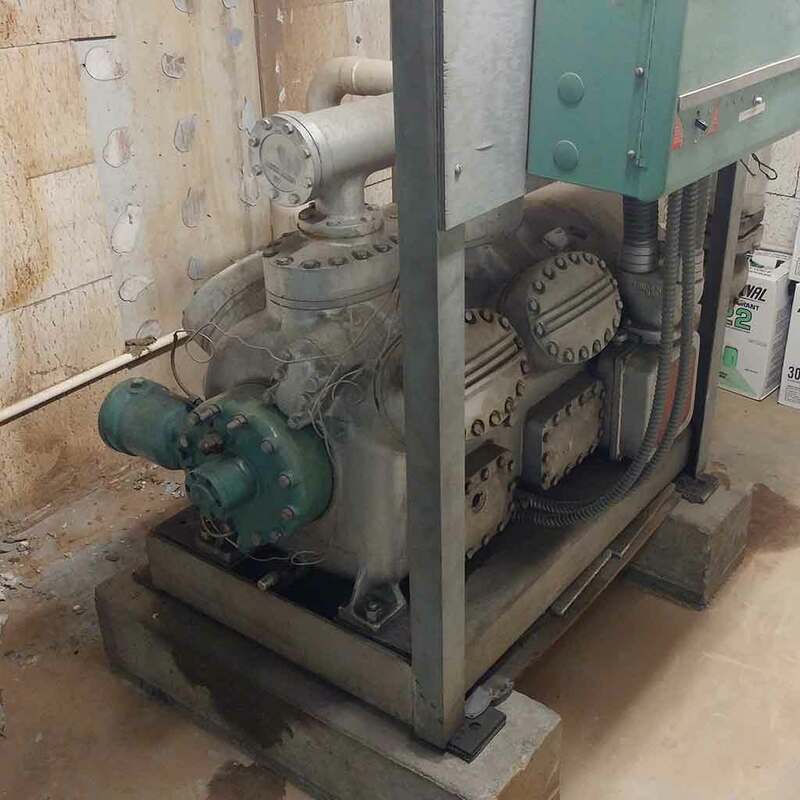 To mitigate potential noise issues caused by vibration, AVANT recommended installing restrained spring isolators beneath the compressor to isolate it from the building structure. In addition, flexible pipe connectors were recommended for all piping connected to the compressor. 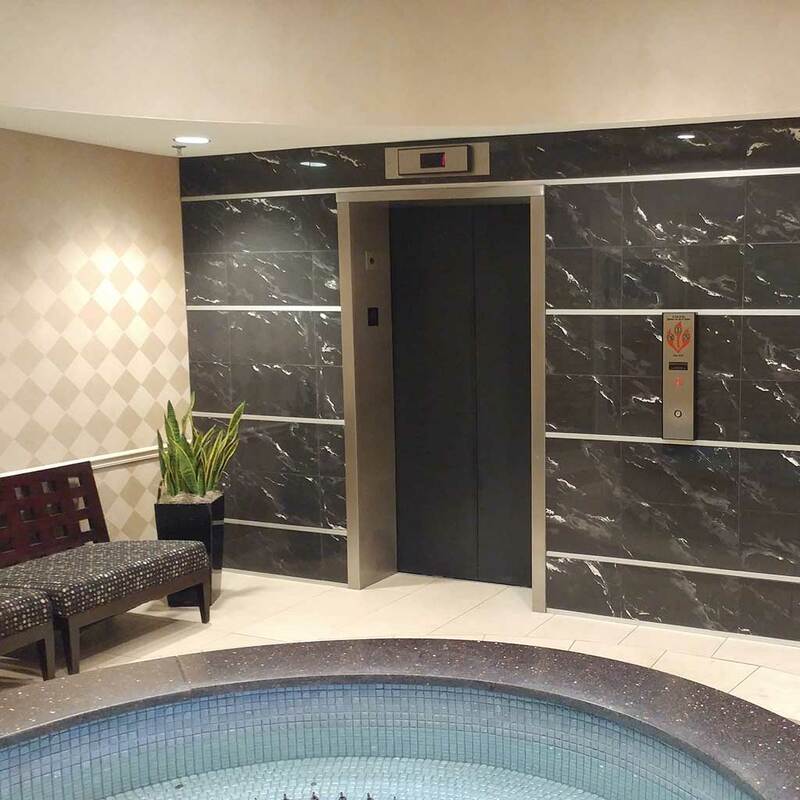 AVANT ACOUSTICS also provided the client with additional good practice noise control recommendations to consider for the mechanical room doors. Client: Bear & Bear Associates, L.P.
Acoustical performance was a key success factor in the renovation of Peru State College’s V. H. Jindra Fine Arts Building, which includes a black box recital hall, choral and band rehearsal rooms, classrooms, conference rooms, offices, solo instrumental practice rooms, and a recording studio. 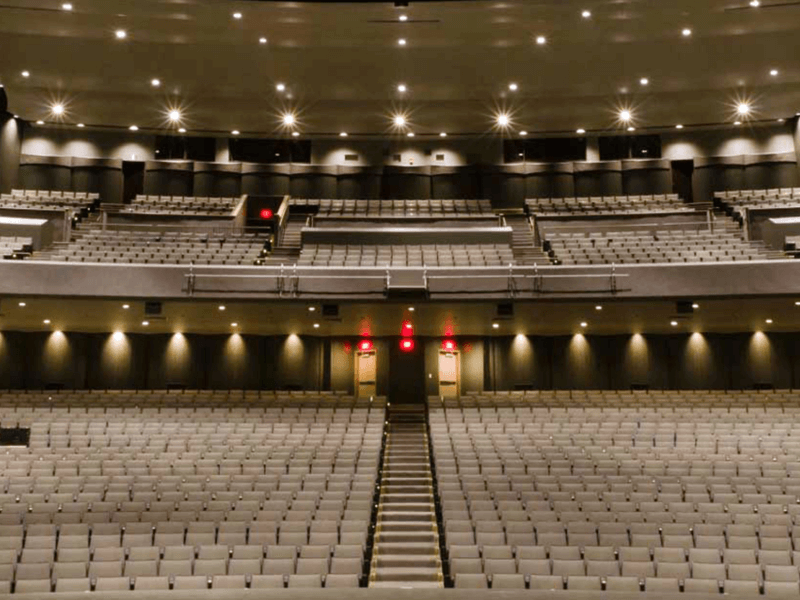 In the recital hall, positioning of sound-absorbing wall panels and ceiling reflectors support many possibilities for performance configurations. 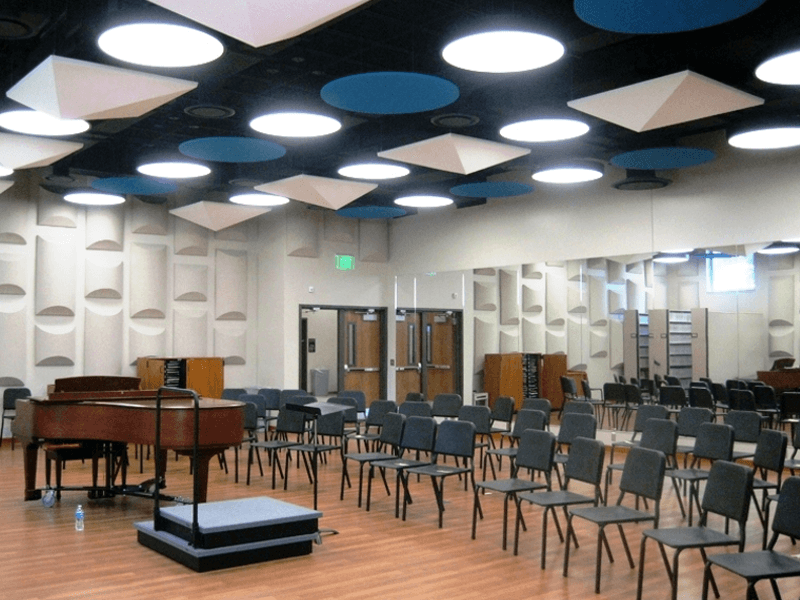 Sound-absorbing and diffusing panels were deployed in the choral and band rooms to help create a sense of ensemble. 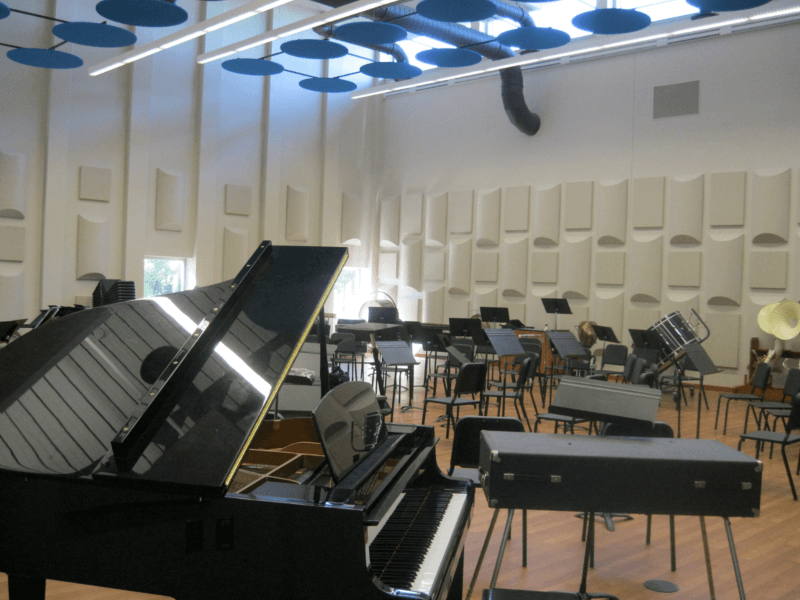 As the band room is located directly above the choral room, special measures were taken to design and construct a low-profile noise control ceiling to adequately isolate the two rooms. 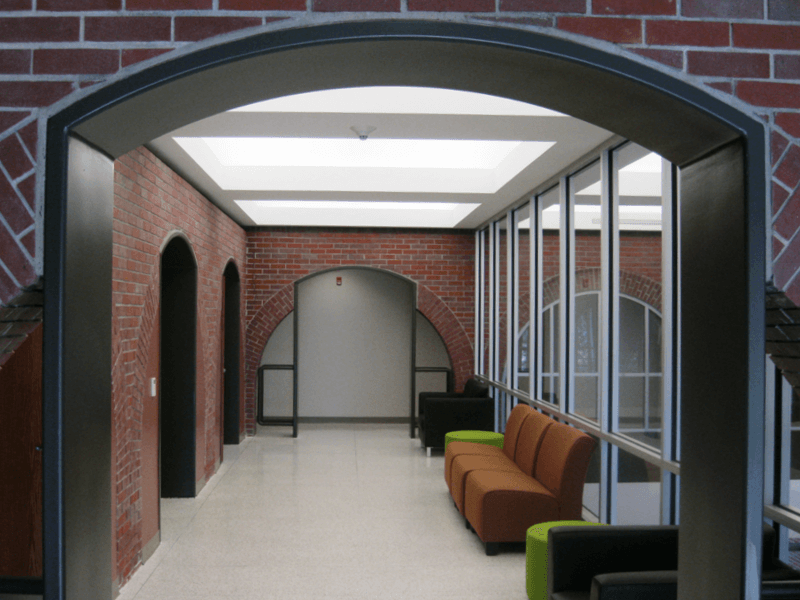 This project was an American School and University Magazine National Award Winner and an Associated Builders and Contractors Renovation and Overall Award Winner.